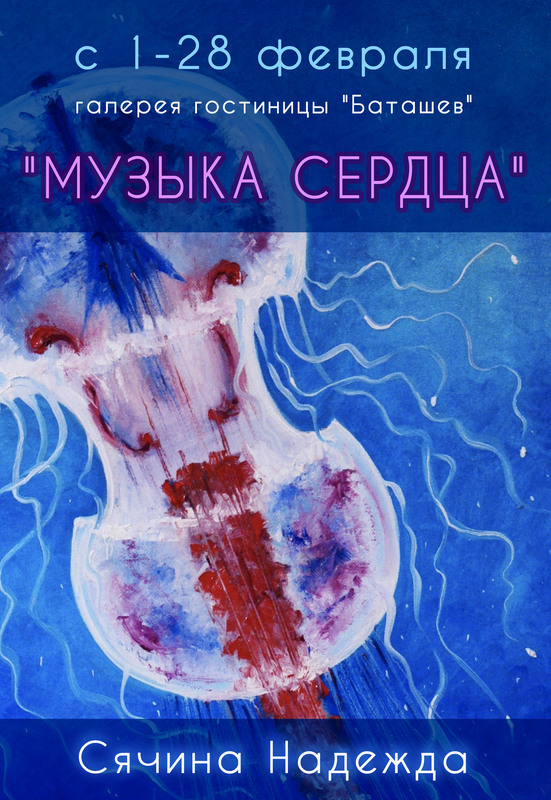 From 1 to 28 of February 2019 in Vyksa (Russia, Nizhny Novgorod region) will be held Nadezhda Syachina’s creative exhibition. The place of the exhibition: Russia, Vyksa, Lenin street, 7, the gallery of the hotel «Batashev». The exhibition includes fifteen art paintings, which are made in the style of «Alla Prima», in different genres, in the technique of oil painting. The presented paintings are united by the common name «Music of the heart» and written in different years.